"Stand back… Miss Piggy’s on sapphire!" 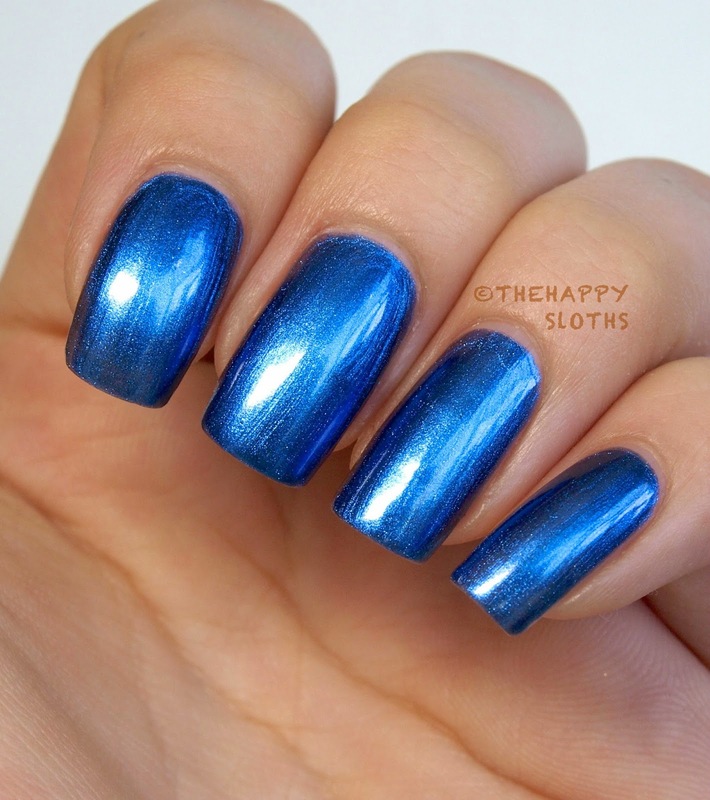 A gorgeous medium blue shimmer, this color will definitely make all blue polish lovers swoon. The formulation was good, opaque in two coats but a tad streaky. The drying time was average and the finish was very shiny! "This white quartz with colorful sparkle is a global sensation." Now this is the kind of polish I love! Muppet's World Tour is made of clear base packed full of matte white, shiny blue, pink, and silver glitters. OPI glitters tend to be thin and sparse but this one was very easy to work with. For each nail, I only used about one and a half coats to get an even spread of glitter over "Miss Piggy's Big Number". The drying time was also very good but it did need a top coat as it dried semi-matte. One and a half coats (with top coat) over Miss Piggy's Big Number. Muppet World Tour sort of resembles multicolored snowflakes in my opinion, and it would probably look super pretty over any dark colors. 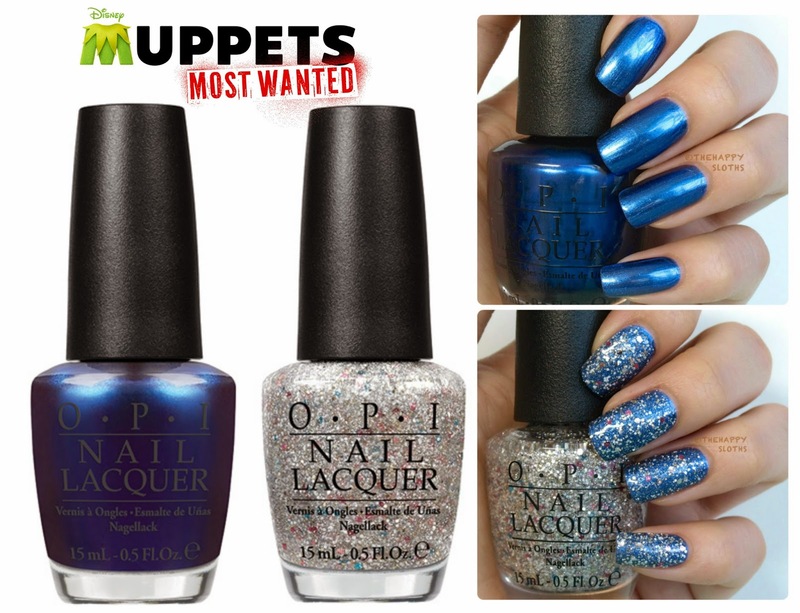 Out of the two, my favorite is definitely Muppet's World Tour, I feel like the it is definitely a unique glitter combo that I haven't seen before. Also, its application is slightly better than Miss Piggy's Big Number. So which of the two do you like? Did you pick up or plan to pick up any colors from this collection? Let me know in the comments below! Have a good day!